Hi and welcome to my site! My name is Jay Herbert and I've been a Professional DJ in the Toledo, Ohio area since 2010. What I love most about being a DJ is creating lasting memories for you and your guests and making sure EVERYONE at your event is having a good time! My passion to be a DJ began at a young age with a profound love for music, and this passion has only grown over the years and continues to do so with every event I perform! I truly love what I do, and I have an extensive business and customer service mindset that allows me to pay attention to the details during your planning process leaving you worry free and most of all EXCITED for your Big Day! One of my major goals when you decide to book me as your DJ is creating an easy and stress free process to work with. It's why I coordinate all of the details with you beforehand, even my attire! As your DJ another one of my objectives is keeping a flow through the event from beginning to end. For me this all starts with our initial meeting! 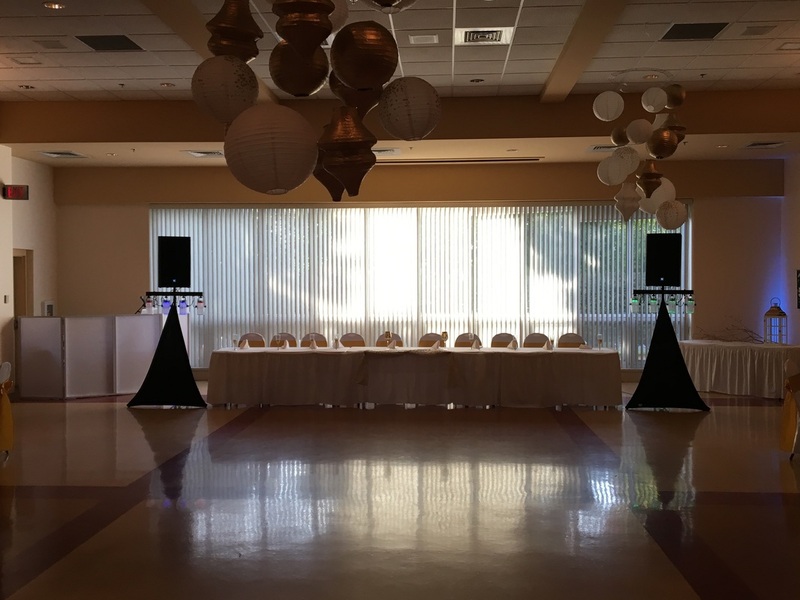 I pride myself in only using Professional DJ Equipment so your reception not only sounds the best, it looks the best as well! However the professionalism doesn't just start and end with the equipment, and it doesn't have to be boring either! A person who upholds a professional yet fun character is another benefit of booking me as your DJ! Having an amazing DJ doesn't have to be expensive! Larger companies in the area charge more because they employ more DJ's, my DJ services are both more affordable and more personal! Not only will you get to know me as your DJ from the beginning, and not just a month or two before your event. You'll get excellent service at an excellent price! Believe it or not one of the first events I ever DJ'd happened to be a wedding. It only took me one of these to realize I may not be only a Wedding DJ, but by golly there's definitely a Wedding DJ soul within me! It's in my opinion that what sets me apart as a Wedding DJ Service is my enthusiasm mixed with my attention to detail. Clients love that I'm on top of keeping the night on pace all the while dancing around as I do so! Another aspect clients love about me is I'm able to improvise and adapt on the fly. Need to introduce someone out of the blue? Wanna make an announcement yourself? Have a change of heart for a particular song or moment? All of these and more happen more frequently than you would think, and with me that's not a problem! 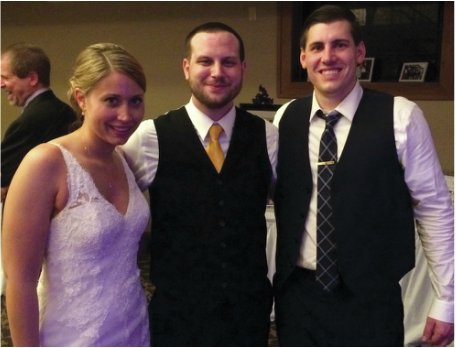 So if you haven't done so already click to see if I am available to be your Wedding DJ! Whether you have a soon to be graduate, family gathering, birthday celebration, or a holiday get together I've always said "You Bring the People, I'll Bring the Party!". In the last almost 7 years I've had the opportunity to DJ over 100 private events. 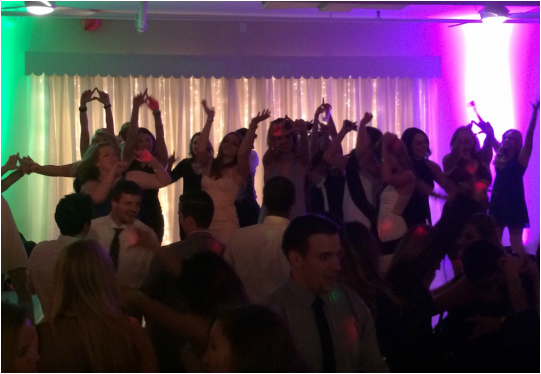 Similar to weddings the passion and enthusiasm I bring when I DJ a private event ensures a FUN time for ALL! Also I update my music library weekly so you can be sure I'll always have the popular songs, and top requests. Additionally my private party service includes high powered dance floor lighting to increase the FUN FACTOR! Coordinate with me before hand or even the night of about any games, speeches, or other events! Hire DJ Jay Herbert as your Private Event DJ! Set up and ready for this Corporate Holiday Party! I've had the pleasure of working with a handful of local companies over the years as their corporate DJ. You can rest assured that your event will be a success with my Professional DJ Equipment and know how. Multiple wireless and lapel microphones make it so your corporate presentations will go off without a hitch and deliver a clear and crisp sound. Then when the presentations / awards are over my mixing skills will provide a fun atmosphere for you and your employees to enjoy themselves! Hire me to be your next Corporate Event DJ!